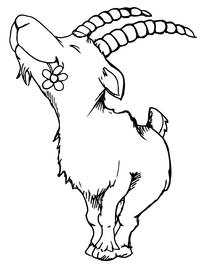 Dwarf goats, like all other animals, need some basic care for good health and long life. Hooves should be trimmed regularly. Since we don’t have a lot in the way of natural wear and tear on the farm, we trim hooves about every 6 weeks. Vaccinations such as CD&T and rabies should also be considered. Check with you local vet for recommended vaccinations in your area. Worming is also essential to good health. Parasites are livestock animals’ number one killer here in the south, so we worm regularly.